The South Carolina Botanical Garden offers a beautiful natural backdrop for weddings, workshops, meetings, lectures, concerts and receptions. Groups from 10 to 400 will have a memorable time in this captivating setting conveniently located near Clemson University and major highways. We suggest that bookings be made well in advance for popular rental months such as April, May, June, September and October. Our staff will help you create an event to remember! Call today to check availability and schedule a consultation with Angel Perkins, Business Manager, at 864-656-3405 or email perkin8@clemson.edu. 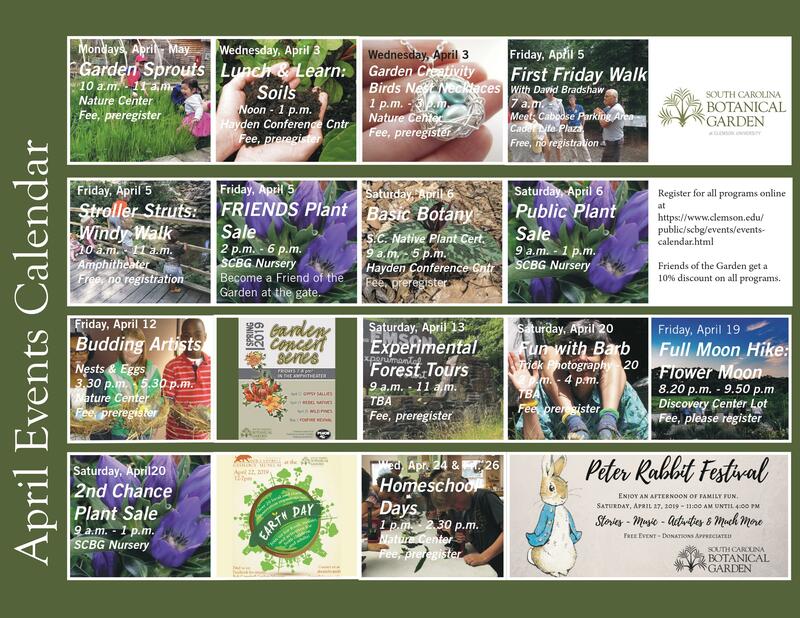 There are fun things to do all year at the South Carolina Botanical Garden. From adult education classes to children's programs to nature walks and museum tours—the SCBG has something to suit every interest. Visit the links on the left or call us at 864-656-3405 for more information. Visit our events calendar for detailed descriptions of programs. Stay in the know about our exciting events and programs! Please email us at scbg@clemson.edu to join. Please include your name, email address and your area of interest (Special Events, Educational Classes or Volunteer Opportunities).